1. Review a textbook section on reflex arcs. 2. As a review activity, label figure 28.1. 3. Complete Part A of Laboratory Report 28. 4. 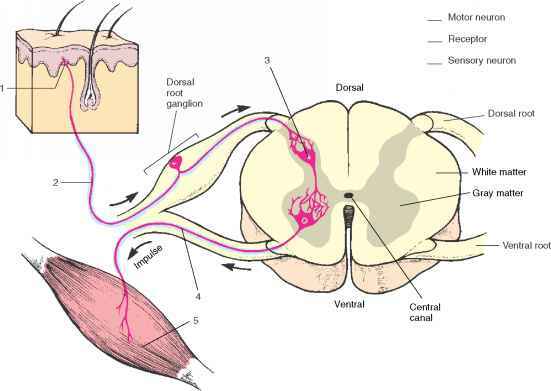 Work with a laboratory partner to demonstrate each of the reflexes listed. (See fig. 28.2 also.) It is important that muscles involved in the reflexes be totally relaxed in order to observe proper responses. After each demonstration, record your observations in the table provided in Part B of the laboratory report. a. Knee-jerk reflex (patellar reflex). Have your laboratory partner sit on a table (or sturdy chair) with legs relaxed and hanging freely over the edge without touching the floor. Gently strike your partner's patellar ligament (just below the patella) with the blunt side of a rubber percussion hammer. The normal response is a moderate extension of the leg. b. Ankle-jerk reflex. 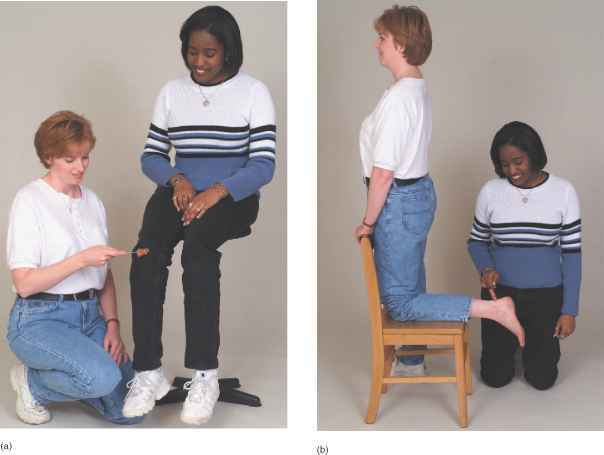 Have your partner kneel on a chair with back toward you and with feet slightly dorsiflexed over the edge and relaxed. Gently strike the calcaneal tendon (just above its insertion on the calcaneus) with the blunt side of the rubber hammer. The normal response is plantar flexion of the foot. c. Biceps-jerk reflex. Have your partner place a bare arm bent about 90° at the elbow on the table. Press your thumb on the inside of the elbow over the tendon of the biceps brachii, and gently strike your finger with the rubber hammer. Watch the biceps brachii for a response. 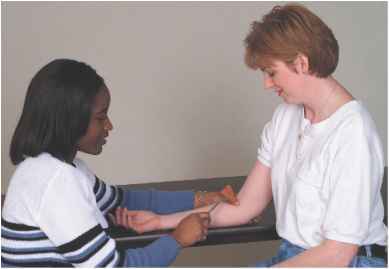 The response might be a slight twitch of the muscle or flexion of the forearm at the elbow joint. d. Triceps-jerk reflex. Have your partner lie supine with an upper limb bent about 90° across the abdomen. Gently strike the tendon of the triceps brachii near its insertion just proximal to the olecranon process at the tip of the elbow. Watch the triceps brachii for a response. 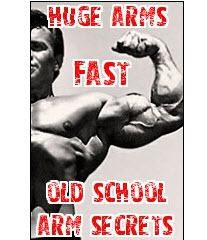 The response might be a slight twitch of the muscle or extension of the forearm at the elbow joint. Figure 28.1 Label this diagram of a reflex arc by placing the correct numbers in the spaces provided. Some reflex arcs demonstrated in this lab lack the interneuron. e. Plantar reflex. Have your partner remove a shoe and sock and lie supine with the lateral surface of the foot resting on the table. Draw the metal tip of the rubber hammer, applying firm pressure, over the sole from the heel to the base of the large toe. The normal response is flexion of the toes and plantar flexion of the foot. If the toes spread apart and dorsiflexion occurs, the reflex is the abnormal Babinski reflex response (normal in infants until the nerve fibers have complete myelinization). Figure 28.2 Demonstrate each of the following reflexes: (a) knee-jerk reflex; (b) ankle-jerk reflex; (c) biceps-jerk reflex; (d) triceps-jerk reflex; and (e) plantar reflex. What is a hermaphrodite humans medical? What is a hermaphrodite humans medical images?